The board, which meets at 0900 GMT on Thursday, will consider the proposed appointment of outgoing Michelin boss Jean-Dominique Senard as chairman and the promotion of Ghosn's deputy Thierry Bollore to CEO, three sources said. The decision has come two months after Ghosn's arrest. Renault has called a board meeting to replace Chairman and Chief Executive Carlos Ghosn, in a move that may begin to ease tensions with alliance partner Nissan in the wake of Ghosn's arrest in Japan for alleged financial misconduct. The board, which meets at 0900 GMT on Thursday, will consider the proposed appointment of outgoing Michelin boss Jean-Dominique Senard as chairman and the promotion of Ghosn's deputy Thierry Bollore to CEO, three sources said. Renault confirmed an emergency board meeting was planned for Thursday, but a spokesman did not respond to questions about its agenda or Ghosn's replacement. The decision, two months after Ghosn's Nov. 19 arrest and swift dismissal as Nissan chairman, turns a page on his two decades at the helm of the partnership he transformed into a global carmaking giant, following Renault's acquisition of a near-bankrupt Nissan in 1999. Ghosn has been charged with failing to disclose more than $80 million in additional Nissan compensation for 2010-18 that he had arranged to be paid later. Nissan director Greg Kelly and the company itself have also been indicted. Both men deny the deferred pay agreements were illegal or required disclosure. Ghosn has also denied a separate breach of trust charge over personal investment losses he temporarily transferred to Nissan in 2008. Nissan has said it takes the matter seriously and pledged to improve corporate governance. Ghosn has now agreed to resign from Renault, three sources familiar with the matter told Reuters - but only after the French government, its biggest shareholder, called for leadership change and his bail requests were rejected by the Japanese courts. Senard, 65, now faces the immediate task of soothing relations with Nissan, which is 43.4 percent-owned by Renault. 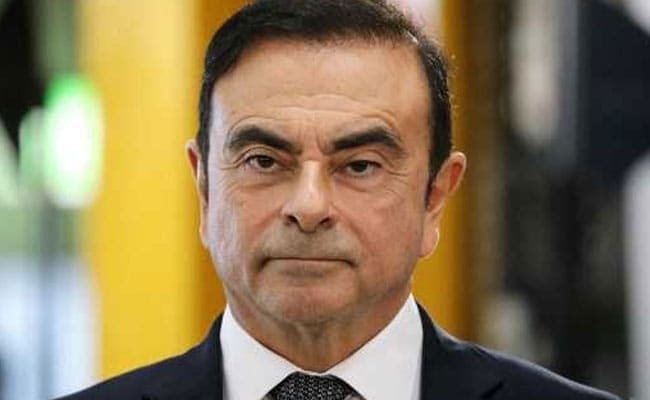 Since Ghosn's arrest, Nissan CEO Hiroto Saikawa has sought to weaken Renault's control and resisted its attempts to nominate new directors to the Japanese carmaker's board. Nissan currently owns a 15 percent non-voting stake in its French parent and 34 percent in Mitsubishi Motors, a third major partner in their manufacturing alliance. Once its new management is settled, French officials want work to resume on a new ownership structure cementing the partnership - which Ghosn had been mandated to explore when his Renault contract was renewed last year with government backing. Nissan is wary of any such move. In an interview last week, Saikawa acknowledged shareholders' concerns that the current structure undervalues their investment, but added that changing it was "really not the current priority". "The subject is not on the table today," Finance Minister Bruno Le Maire said on Sunday amid Japanese press reports that France was actively pushing for a Renault-Nissan merger. The widely anticipated rejection of Ghosn's latest bail application raises the likelihood that the 64-year-old executive will remain in custody until his trial in Japan.